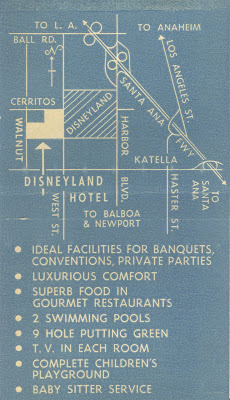 It’s March 11th, 1962 and after nice nights sleep at the Disneyland Hotel, where else would you go but Disneyland! 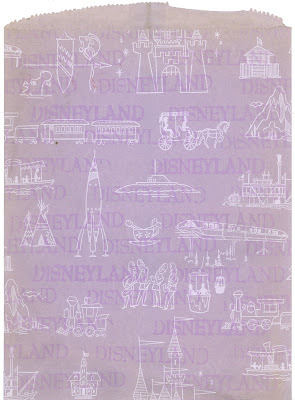 Here’s a pair of “Passports” to Disneyland. From what I can tell, these early Passports came in a few varieties. Some were for special groups like Boys Club; some were complimentary and some where available to the general public. I think they were only sold during off seasons as the price is only slightly higher than the 15 adventure books. If these were always available, wouldn’t everyone buy them? 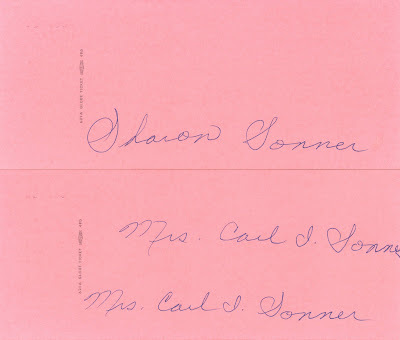 These are 6 by 2 ½ inches on heavy card stock just like the back of the lettered ticket books. 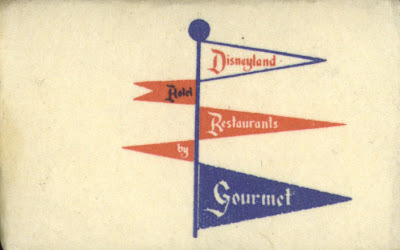 And just like the ticket books, these would need to be sturdy since it’s gonna hang out in your pocket all day long. 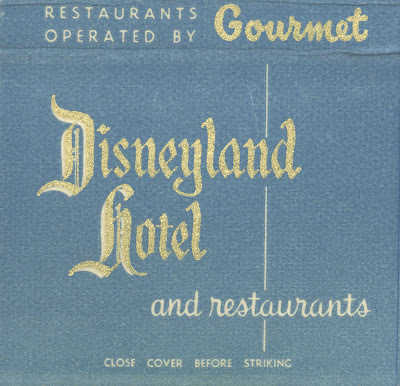 Our 1962 Guests signed the back. I have a few of these types of tickets and these are the only ones with signatures on the back. 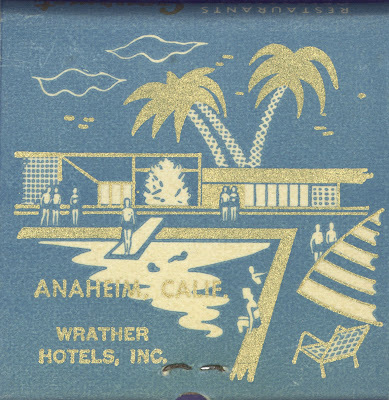 An old souvenir bag, its faded buy still fun to look at. The water mark lasted a lot longer than the printing on my March 11, 1999 ticket in yesterday’s post. 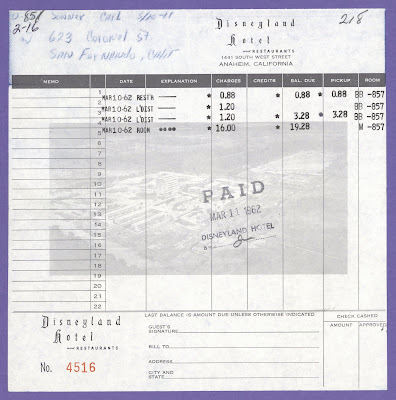 The invoice from the Disneyland Hotel. $16 for the room seems reasonable. The long distance seems a little steep. 88¢ at the restaurant, coffee and a donut? These early match books were little works of art all on there own. How about some sugar for your coffee? They sure put a lot of detail on a little sack of sugar! The sugar cube even got printing on the sides! 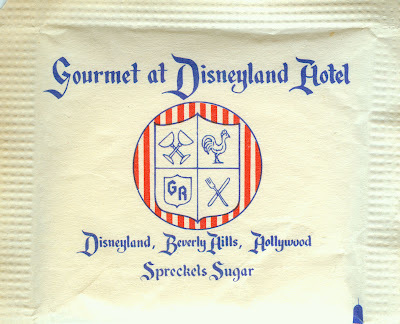 I’ve only seen paper wrapped sugar cubes at the Plaza in New York, and I’ve only been there once (I think I’m still paying for it). 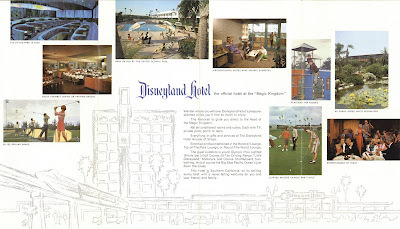 The inside of an early 60’s Disneyland Hotel brochure. 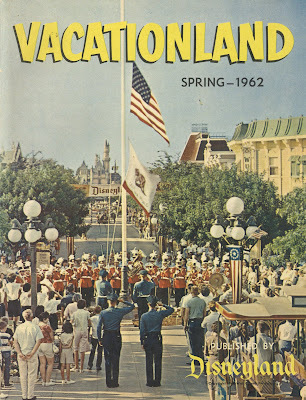 A colorful cover to the Spring 1962 Vacationland Magazine. What’s on the banner? 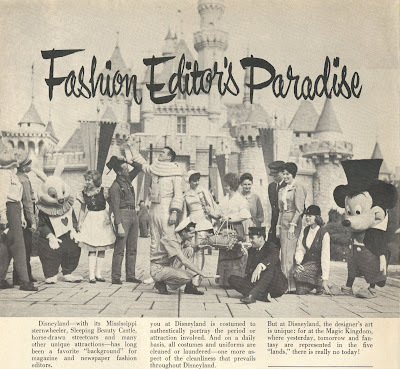 Yes I always say this, but this really is a super issue of Vacationland, bursting at the seems with fun vintage Disneyland stuff like this. Come back on Bonus Sunday for the complete issue. I hope that they left a 20 percent tip on that 88 cent restaurant bill! the extent of your collection continues to amaze me. 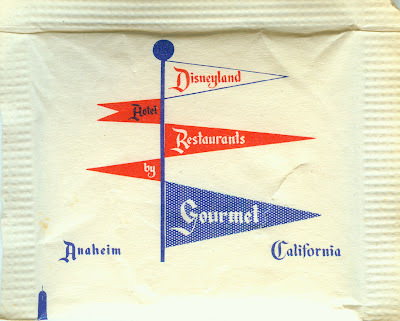 sugar packets!?! As usual - awesome stuff!!! 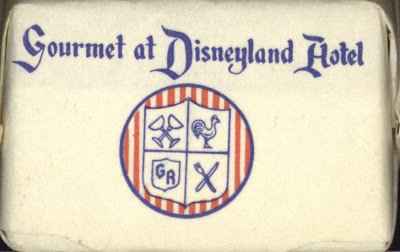 Blast to the Past at Disneyland - March 1988-89?